Many Bible prophecies predict the conditions and events of our day as signs of the end of the world-today’s headlines written nearly 2,000 years ago. 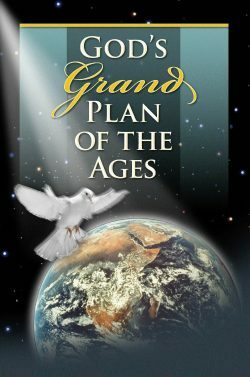 Consideration of these prophecies establishes: (1) that the Bible is indeed the inspired Word of God; (2) that we are living in unprecedented times prophesied in Scripture as the “end of the world”; and (3) that man is standing at the threshold of lasting peace and economic security in a pollution-free earth. Your (Daniel’s) people (Israel) delivered. That the first sign, unprecedented trouble, is the hallmark of our time is confirmed by historians. True, the world has always had trouble, but never before has it been in such staggering proportions. Wars: In the 20th Century over 100 million lives were lost through war. From 1990 to 1995, 70 states involved in 93 wars killed 5.5 million people. Forty wars were waged in 1999. The unprecedented terrorism of September 11 marked 2001. The population explosion and industrialization of Third World nations accentuate the oil crunch. Nations will go to war for oil. Many Third World nations have the poor —chemical warfare, and are working on actual nuclear warheads. Such volatile weaponry in the hands of these regimes spells trouble. The economic and political instability of the Soviet Union could result in a military coup. Population Explosion: Before 1650 A.D. the population doubled every 1,000 years. In 1804 A.D. the population was one billion. It doubled in 1927 (123 years later). And doubled again in 1974 (only 47 years later). In 1990 the world population was 5.5 billion. By 2000 A.D. it increased one billion. Up to 15 million people die of starvation annually. There are 40 million refugees worldwide and 100 million homeless. Each day 40,000 babies die of starvation in Third World countries, while Americans spend over $900 million yearly feeding dogs and cats. Pollution: The U.S. has 4.6 % of the world’s population, but annually disposes of 290 million tons of toxic waste, uses 26% of the world’s oil, 26% of the world’s coal, and 27% of the world’s natural gas; releases 26% of the world’s nitrogen oxides; and produces 25.5 % of the world’s carbon dioxide emissions. Air pollutants from car exhaust and industry spawn disease. Deaths from respiratory disease double every five years. Skin cancer and cataracts caused by ozone depletion are increasing. From 1950 to 1980 melanomas increased by 500%. Global Warming: “Except for nuclear war or a collision with an asteroid, no force has more potential to damage our planet’s web of life than global warming.” (Time Magazine, April 9, 2001) The 1990s were the hottest decade on record. Over the 20th century, Earth’s average temperature rose approximately one degree. Warmer climates have widespread effects on the environment. The sea level will rise as oceans absorb heat from the atmosphere and expand. Polar ice caps will melt. Increases in sea level will flood and erode coastal areas inhabited by half the world’s population. Tropical storms will become more frequent and intense. Weather patterns will become extreme, causing flooding. Soil moisture will decrease impacting crop failures and life-threatening droughts. “Breadbasket farmland” (like our Midwest) will become barren desert. Markets and food supplies will be disrupted. Severe food shortages will result. Scientists are now concerned that the population explosion could hasten and increase the effects of global warming. Drastic climate changes resulting in economic disaster in many nations could trigger wars for survival. Drugs: We are losing the drug war because the huge profits are too corrupting. There are 2.2 million hard-core drug users in the United States. While one out of forty persons in New York City is hard-core, nationally one out of one hundred are hard-core users. The number of casual users is substantially higher. Is it any wonder the crime rate is spiraling? Seventy percent of New York City’s drug users are affluent. One thousand drug addicted babies are born every day. Economic chaos: The U.S. entered 2000 with a staggering debt of $5.6 trillion and a perilous foreign trade imbalance. The nineties were the “decade of uncertainty.” Outstanding consumer credit debts have increased from $349.4 billion in 1980 to $1,395.4 billion in 1999. The second sign is increased travel. Transportation has expanded rapidly because of the automobile. Selden made the first automobile in 1877. Today there are over 600,000,000 cars. Through numerous modes of transportation millions are crossing and recrossing each other’s paths around the world. In the past 100 years, man has increased his travel from 30 mph to 25,000 mph off the planet to the moon. If the increase of knowledge from the dawn of history to the 1880s is given a value of one, then knowledge has doubled 16 times within the last 10 years. One hundred years ago, 90 of the world’s population could neither read nor write. Today, 40% of the world’s population can read and write, and in the Western world literacy has reached nearly 90%. Ninety percent of all scientists who have ever lived are alive today. Fifty percent of the world’s inventions have been created in the last decade. Sophistication in communications allows man to see and hear throughout the world instantly. U.S. homes with telephone answering devices jumped from 31% in 1990 to 74% in 2000. Cordless telephones jumped from 25% in 1990 to 78% in 2000. In 1989 there were 3.5 million cellular telephone subscribers; by 1999 there were 86.0 million. In 1990 there were 9.9 million pagers; by 1999 there were 53.5 million. In 1995, 31.7% households had personal computers; by 2000, 53%. In the last decade, 66.3 million computers were sold. In 1993 there were 3 million Internet users; by mid 1999 there were nearly 200 million; by 2000 there were 332.7 million. The fourth sign which marks us at the “time of the end” is that the Lord will stand up for Daniel's “people,” the Jewish nation. 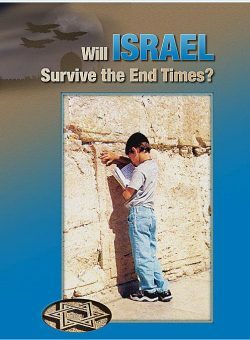 If we are living in this “time of the end,” we should expect dramatic evidence of God's favor on behalf of the Jewish people. 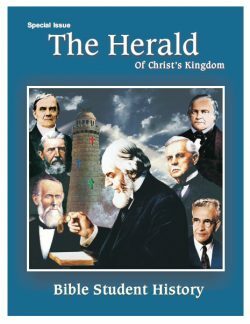 Students of prophecy from many denominations generally recognize that the fig tree is pictorial of the nation of Israel. (See Jeremiah, Chapter 24). In Matthew 21:19, Jesus cursed a fig tree because he found no fruit on it. As a result of his cursing the fig tree withered. Several days later Jesus applied the lesson of the withered fig tree. He proclaimed judgment on the nation of Israel, “Behold, your house is left unto you desolate” (Matthew 23:38) because it had not borne fruitage to God. Israel was subsequently scattered and persecuted. Israel’s restoration is an outstanding sign of the end of the age. The fig tree coming back to life and putting forth leaves represents Israel coming to life as a nation, and receiving God’s increasing favor. Historians agree that Israel’s rebirth is a miracle of history. Never before has a nation been destroyed, its people dispersed to the ends of the earth and then-nearly 2,000 years later-its descendants regathered to their homeland and re-established as a nation. Compare Luke 21:29?32 with Matthew 24:32?34. The restoration of Israel means the kingdom is at hand. “And he spoke to them a parable: Behold the fig tree, and all the trees; when they now shoot forth, you see and know of your own selves that summer is nigh at hand. So likewise you, when you see these things come to pass, know you that the kingdom of God is nigh at hand. Verily I say unto you, This generation shall not pass away, till all be fulfilled.” Luke 21:29?32. The generation that witnesses Israel restored as a nation will also witness the complete end of the world or age, and the full establishment of the Kingdom of God. Scriptures are charged with signs that have become the headlines of our day: Jerusalem is no longer trodden down by Gentiles (Lk. 21:24). Many new nations have gained independence (Lk. 21:29,30). Evil is exposed as never before (I Cor. 4:5). Most people, even the professedly religious, lack faith (Lk. 18:8). Men love themselves, have no respect for parents, and have no natural affection (2 Tim. 3:1?5). Turmoil grows between labor and capital (Jas. 5:1?4). Wars and war preparations intensify (Joel 3:9?11). All the while men proclaim “peace” (I Thess. 5:2,3). Men’s hearts fail for fear (Lk. 21:36). One more sign bears consideration. In Amos’ prophecy the fleeing man represents the world's experiences in this dark “time of trouble.” At the dawning of our era, Great Britain ruled the most expansive empire on earth. The lion in this prophecy, Britain’s national symbol, appropriately illustrated the mighty nation that devoured (colonized) weaker nations. Colonialism’s suffocating grasping led to the world's fleeing to another form of government. The man in Amos 5:20 escaped the lion only to meet the bear—a form of government diametrically opposed to the grasping greed of colonialism—communism! The former Soviet Union, the “bear” of Amos’ prophecy, offered man another hope for safety in this time of trouble. Communism's failure to rescue man was underscored by its precipitous fall. Nations are now seeking another hope of security-nationalism. Entering the “house” of nationalism has been anything but comfortable for the nations of the world. Bosnia, Serbia, Germany and other nations seeking safety in nationalism have suffered civil war, economic malaise, the rise of new "hate groups" and other ills. While in the supposed security of ultra-nationalism (will church and state reunite?) the people place their hand on the wall. Seeking rest in the supporting structure of human government will result in being bitten by the serpent. That old Serpent, the Devil and Satan, which once deceived the nations to think that they were Christ’s Kingdom (Revelation 12:9) will bite them again. Then the nations will feel the rebuke of Jehovah in the great time of trouble. 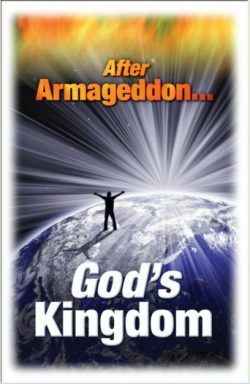 All of these prophecies mark the time when the present evil world is being destroyed. 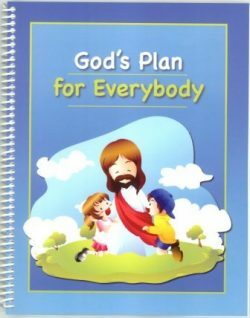 God is now revealing Himself as never before in history, a revelation which will climax with the establishment of the Kingdom of Christ on earth. Take heart—even though things must get worse before they get better. It is the unprecedented severity of world problems (Matthew 24:21) and the paralysis of hopelessness (Luke 21:25) that mark us at the threshold of the great Kingdom blessings which God has in store for man. Just as urban renewal requires the demolition of old structures, so the full establishment of Christ’s Kingdom requires the removal of our corrupt civilization (Hebrews 12:28). The present generation will see the Kingdom in all its glory (Luke 21:21?32).